Stoats and Weasels will not usually attack large chickens but can be a problem with smaller birds such as bantams, guinea fowl, call ducks, quail and many species of wild fowl as well as chicks and growers. Both have the same diet and similar habitats although they do tend to avoid each other. Visually, Stoats and Weasels look very similar. They are light brown with a pale underside. 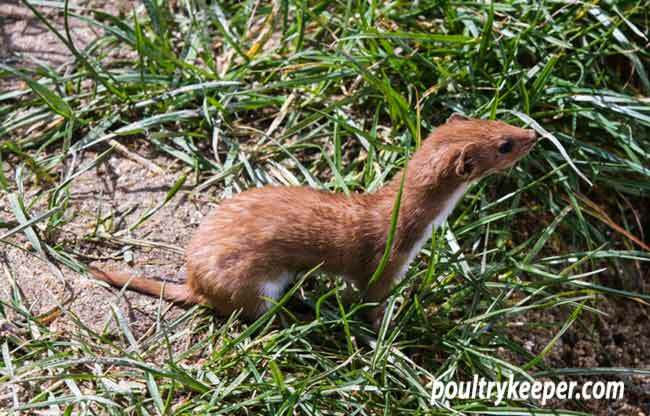 A Stoat can grow slightly bigger than a Weasel and is usually slightly heavier. The give-away is a Stoat has a black tip on the end of his tail. Stoats have a black tip on the end of their tail. The slightly smaller Weasel doesn’t have a black top on the end of his tail. A similar predator is the Mink which is easily recognisable without a white chest. We will mainly consider stoats in this article although both stoats and weasels can cause similar damage. 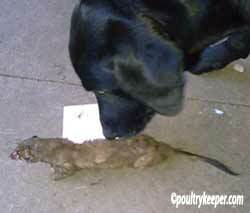 If they are found in the area, there will be an absence of rats and mice since they also fall victim to this killer. A stoat can do a great deal of damage. 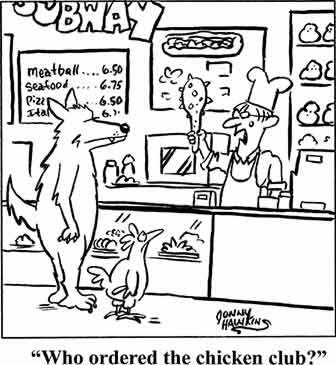 Similar to a fox, it will kill many birds, only eating one. They can be particularly difficult to shoot as they are fast-moving and it is not often you get a glimpse of one and they usually do their hunting at night. 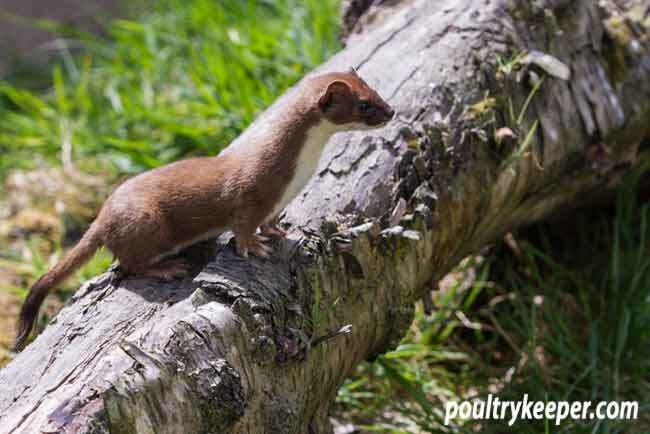 A trap is the best way to catch a Stoat and there are two methods that have been used successfully. The first method is to lay a drain pipe in one of the stoat’s tracks. Stoats always prefer to run under cover by choice. Set a sprung trap at the exit of the pipe. Peg this down so that it cannot be pushed out-of-the-way and the stoat should set it off when he runs out of the end of the tube. The second method of trapping a Stoat is to use a standard metal cage rat trap. If you have found a dead bird that has been partially eaten by the stoat, this method is ideal. This stoat killed several ornamental wildfowl before it was finally trapped and killed. Photo Bridget Burman. Place the remains of the bird in the trap as bait and when the stoat comes back, it is likely that he will go to this for another feed and become trapped. Dispatch him with an air rifle. Do not try to take him out of the cage because he will give you a nasty bite or escape when you open the trap just a little! Remember when setting traps that could harm wild animals, they should only be used in such a way that targets the intended species. 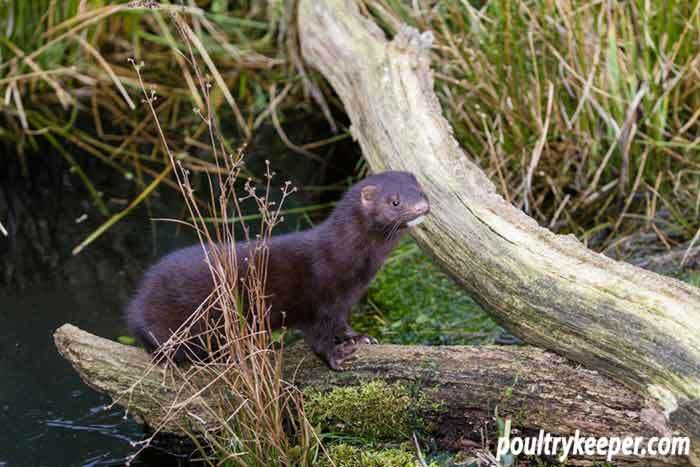 There is further advice on trapping Mink (which prefer fish as bait) in the article “Mink Trapping Tips for Poultry Keepers“.